DeWit Delft Vase Poly with Flowers. 10.5 inches 26 cm - De Wit - Delft - The Dutch Shop LLC your store for Dutch groceries. DeWit Delft Vase Poly with Flowers. 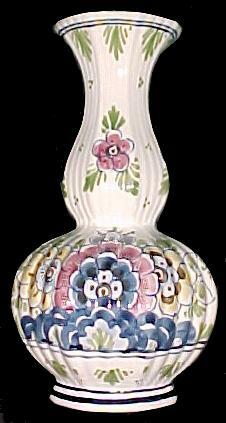 10.5 inches 26 cm Beautiful hand painted vase. Handmade in Holland. On the underside of the vase you will find an imprint showing the factory mark- item number- and the artists initials.